That's two of the top three and six of the top ten. And who is Jimmy Grabow? 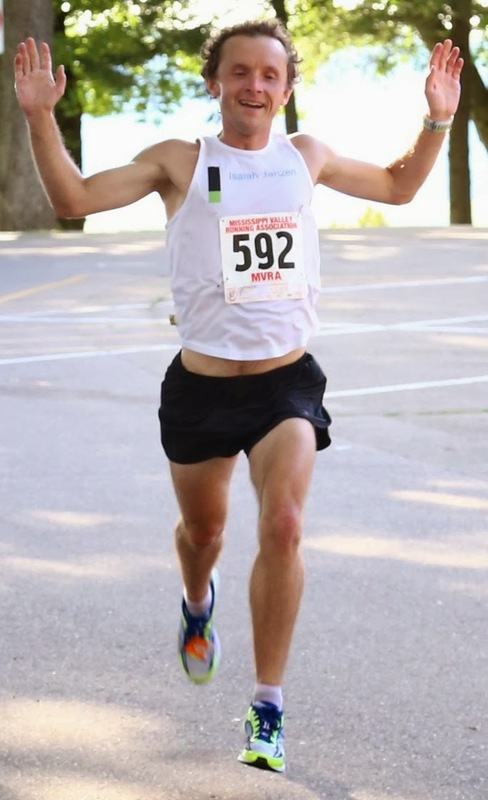 (I just looked him up, he debuted today but was a 1:03 half and 28:35 10k 27 year old who puts in 120 miles per week regularly. Well, that's about what a 2:12 takes.) Also, congratulations to Carlson, Cabada, and Carney who all set PRs today. The toughest part is that Ritz set a five second PR to finally break 2:10 and he gets 4th. That's two of the top three and seven of the top ten. The big surprise of the top ten is Janet Cherobon-Bawcom who set an eight minute PR to 2:29 today. Rumor had it her trainingwas going well, but an eight minute PR is pretty big. Shalane did set a three minute PR to win although New York is considered harder than the trials course.